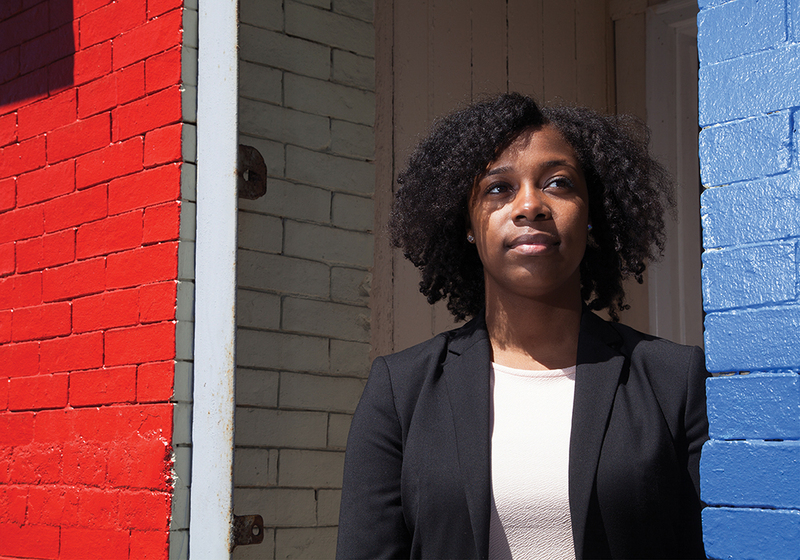 Taisha Sturdivant ’16 faced poverty, danger, and near-homelessness, but she’s defied the odds. And she’s winning. By Charles B. Fancher Jr. The world as she knew it ended for Taisha Sturdivant eleven years ago on the day her mother died of complications from AIDS. Taisha was just fifteen years old, and the anchor of her young life had been snatched away. Not that life had been easy before. The family had no money. She had never known her biological father; her older siblings, a brother and a sister, were fighting demons of their own. At the time, her extended family, while loving and well-meaning, had little they could offer. She was on her own, and her survival, let alone the possibility that she might prosper, was in doubt. “I was in a fog,” says Sturdivant, a rising third-year student at Boston College Law School, speaking of the day her mother died, her voice trembling almost imperceptibly from the intensity of the memory. “We had a hospital bed in the living room, and I sat there with her for four or five hours, talking to her.” A few relatives were there, some from New York, where Sturdivant was born, and others from Boston, to which the family had moved a few years earlier. But, all of Sturdivant’s attention was focused on Liz, her mother. So the voyage began, a passage fraught with uncertainty and danger, interspersed with moments of discovery, accomplishment, and joy. And, when she graduates in the class of 2016, Taisha Sturdivant—“Tai” to friends and family—will have traversed a vast social and cultural expanse. Already, with two years of law school behind her, Sturdivant counts well-known lawyers and judges, community activists, educators, and other Boston-area opinion leaders among her friends and admirers. She’s earned top grades, is the inaugural Ruth-Arlene W. Howe Black Leadership Scholar, and has served a term as external vice president of the Black Law Students Association. She co-produced a widely publicized diversity panel at the Law School and nearly won a tight race for vice president of the Boston College Law Student Association. She is a resident assistant in a Boston College undergraduate dormitory. At a young age, Sturdivant was already facing the reality of the classic Billie Holiday lament, “God Bless the Child”: Them that’s got shall have/ Them that’s not shall lose/ So the Bible said and it still is news/ Mama may have, Papa may have/ But God bless the child that’s got his own/ That’s got his own. 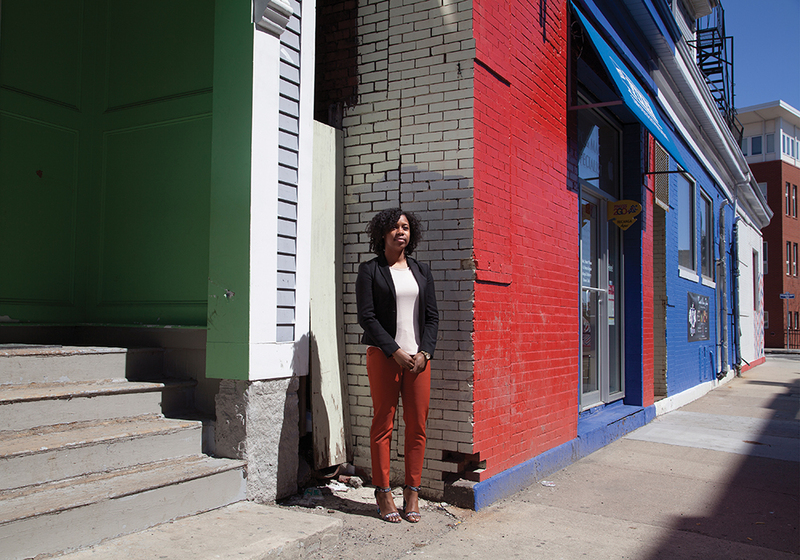 Taisha Sturdivant visits the Roxbury home and neighborhood where she lived with her mother and siblings as a girl and where she twice faced down gunmen. “Tai had to learn early that you don’t always feel safe as a child,” says Briget Evans, an older cousin—in many ways more of an aunt—with whom Sturdivant has occasionally lived since entering law school. “People around her didn’t have the same aspirations…. She had to make her own choices,” Evans adds. 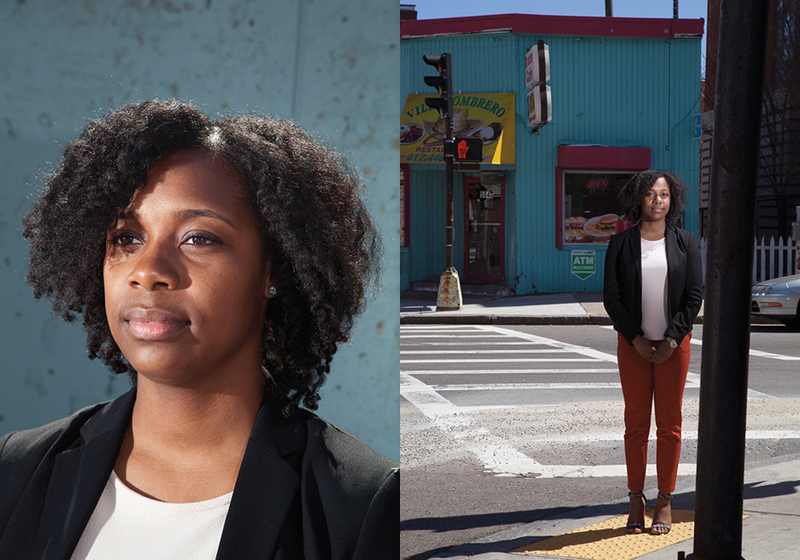 Along with the insecurity of not having a permanent home, Sturdivant had to find her way among the ever-present, and frighteningly random, dangers of street violence. 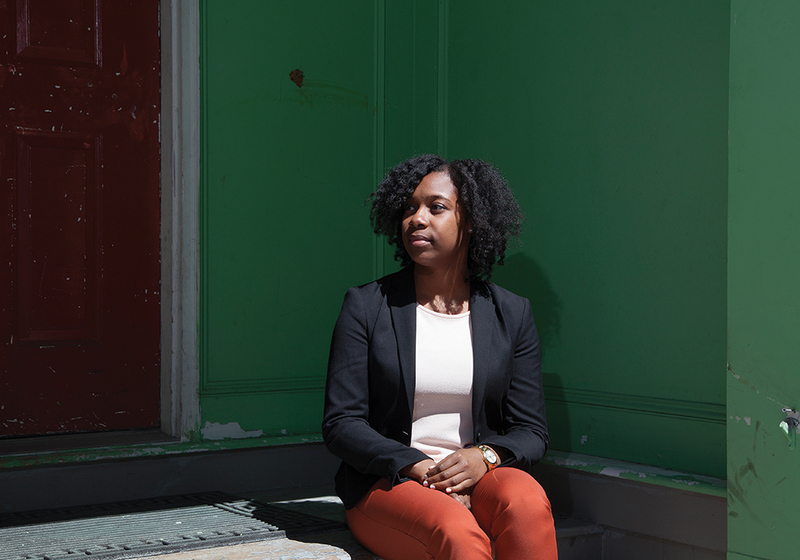 By the time she was barely out of her teens and a student at Brandeis University, Sturdivant had already lost twenty friends to street violence. The streets were so dangerous that a friend once told her that he and some of the other boys she knew felt safer in jail. At fourteen, Sturdivant had already had a gun pulled on her while walking in her neighborhood, known for its housing project-based gangs, in places like Academy Homes and Heath Street Projects. “My best friend and I were standing on a corner; we had just left a party,” Sturdivant recalls. “A car pulled up, and the window opened, and somebody poked a gun out.” Time stopped, and then the car sped away, its occupants laughing at the girls’ reactions to their cruel act. In the meantime, she was getting into trouble at school. “I was fighting all the time,” she recalls. At a slight 5-foot-4-and-1/2 inches tall, Sturdivant is not a physically intimidating figure. “I was tiny, but I had a big mouth,” she says, which often made her a target at English High School. Her older (and bigger) sister had attended the school before her, and some students who’d had differences with her sister were happy to use the younger (and smaller) Sturdivant as a surrogate in battles over old, unresolved disputes. Sturdivant had to graduate from high school. 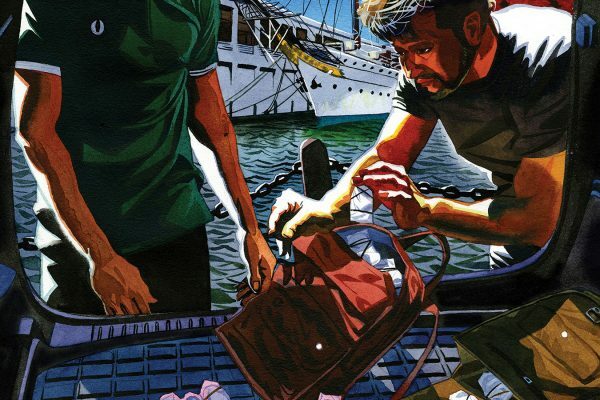 The clock was ticking, and then she made the discovery that would change her life forever. She found Another Course to College (ACC), a unique college preparatory high school in the Boston Public Schools system that, the school’s mission statement declares, offers “enrollment to any Boston student who is willing to make the commitment to accept the challenge of this rigorous academic experience.” At ACC, admission to college is a requirement for graduation, and the school claims that more than 90 percent of the graduates go on to enroll. Nevertheless, Comeau says he “worried about how she’d respond to all those upper-middle class kids at Brandeis,” the Waltham university where she eventually went to college. In the long term, he needn’t have worried, but initially there were more than a few barriers Sturdivant had to cross. Sturdivant didn’t even know where Waltham was. Neither, she adds, did she know anything about Judaism, the tradition in which Brandeis is rooted. She recalls one of her first days on campus when she was walking down the hall in her dormitory, and saw that the door of the resident advisor’s room was open. It was early evening, and it was beginning to get dark. She stopped to say hello, but she was puzzled by the RA’s response. “‘It’s dark in here, don’t you think?’” Sturdivant recalls her saying. Sturdivant agreed. There was a pause. Then, the RA said, “It sure would be nice if there was some light in here.” Sturdivant was even more puzzled, but she reached out and turned on the lights. “Thank you so much,” the RA exclaimed. It was only then that Sturdivant learned that it was Shabbat and that the observant RA could neither turn on the light nor directly ask Sturdivant to do it. It was the first of many such revelations. Aside from religious discoveries, Sturdivant also had a lot to learn about wealth and privilege. Like the time she found an acquaintance sobbing uncontrollably and, in seeking to comfort her, realized that the reason for the tears was that someone else on campus had acquired a luxury car nearly identical to the one the distraught girl’s father had recently given her. “It was fascinating to me that she was crying over that,” Sturdivant says, but it was just one of the times her eyes would be opened to the sense of entitlement that shaped the way some of her fellow students moved through the world. Nevertheless, she found a path. She studied hard; she made friends, and threw herself into campus life. But, during summers when many other students departed for home, Sturdivant remained behind to work to earn money and, importantly for her, to get the campus housing that went with the job, because she had nowhere else to go. She was making it, but she is quick to point out that she had help. “A lot of people invested in me,” she says. Among them were Senior US District Court Judge Mark L. Wolf and the late US District Judge Reginald Lindsay. She met them while she was still in high school, as a participant in the Nelson Fellowship Program, named for the late David S. Nelson, the first African American US District Court Judge in the District of Massachusetts. Each summer, the program provides stipends for twelve high school students to work for judges in their chambers on meaningful assignments, to take classes, and to participate in a mock trial. “Our hope was that it would give [high school students like Sturdivant] experience that would help them envision greater futures for themselves,” says Wolf, to whom Sturdivant was assigned. He says Sturdivant was a standout in the program and as a result was later invited back to be one of the program’s counselors. Wolf, a friend of former ACC headmaster Howland, has remained a friend and mentor to Sturdivant, and his recommendation led to a job when she graduated from Brandeis, as a legal program associate at the Discovering Justice program, which educates young people about civic responsibility. Meryl Kessler, now the executive director of the League of Women Voters of Massachusetts, was Sturdivant’s supervisor at Discovering Justice. “Taisha has the highest emotional intelligence of anyone I’ve ever met. She has that very rare quality of knowing how to meet people on their terms,” Kessler says. During Sturdivant’s first year of law school, she lived with her cousin Evans in the Hyde Park area, an arduous commute on public transportation from the Newton campus, especially late in the evening. So, Kessler gave her a key to her own home near the campus so she could stay over on those late nights. It is late afternoon, and Evans, who was in the apartment when Sturdivant’s mother died, is perched on a counter stool at a Boston coffee shop. She pauses as she reflects on the balance Sturdivant has achieved between her own goals and her desire to help others. She leans forward as she talks about the way Sturdivant took time to care for her uncle Michael Sturdivant, who died last year from a variety of obesity-related diseases. “She became his health care proxy. He couldn’t walk, and she would go and take him to the doctor,” Evans says. Sturdivant would sit with him after he was hospitalized in his final days. And then there’s Sturdivant’s knack for being in the right place at the right time, like the time in 2010, when Wolf invited her to participate in a panel on the relevance of genocides in Africa to gang violence in Boston. Her pointed comments and probing questions caught the attention of a Boston Globe editor, which led to an invitation to write a series of guest columns for the newspaper on a variety of topics from the perspective of a young black woman. Sturdivant remembers being intimidated. “I had writer’s block for a week,” she says, but the columns were powerful, and they added yet another layer of experience for a young woman barely out of her teens. 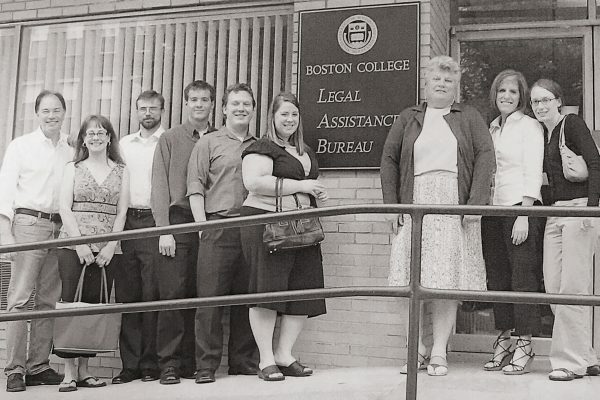 At BC Law School, Sturdivant continues to make strong impressions. Mark Brodin was her Civil Procedure professor, and he hired her as a research assistant to work on the Handbook of Massachusetts Evidence. “She’s extremely bright, hard-working, and able to do so many things simultaneously,” he says. At first meeting, it is easy to forget that the polished young woman who earns top grades, volunteers for community service, and enjoys hanging out with friends started from a place that many of her law school contemporaries can only imagine. But, taking those first impressions for the whole truth would be a mistake, because Sturdivant, however far she has traveled, is the sum of all her experiences. Asked, for example, about her plans after law school, she says she is considering practice in the lucrative real estate business. But, characteristically, she is looking beyond the potential financial rewards. “I’ve had very little stability, and I’ve had relatives lose Section 8 housing,” she says, adding that volunteer work with the AIDS Action Committee also gave her insights into the impact the law can have on housing issues. So, she sees real estate law as a way to make a good living and also to do good for people. Professor Catharine Wells, from whom Sturdivant took a civil rights seminar, says Sturdivant has a way of cutting through so much of the “mindless chatter about civil rights.” Asked how she thinks Sturdivant will turn out after law school, Wells gives a response that almost certainly represents a larger truth about Taisha Sturdivant. Charles Fancher of Annapolis, Maryland, is a longtime writer and editor and most recently was a lecturer at Howard University.